Nordic tour operator highlights winter travel experiences to watch for this coming season. The diverse snow-clad landscapes of the Nordic countries are an ideal backdrop for a wide range of cultural activities, dining experiences, and beginner-friendly adventures. 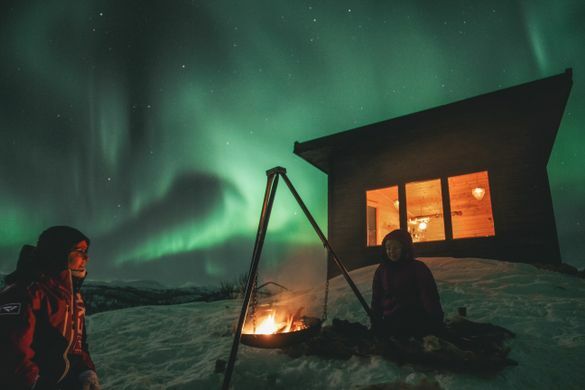 Hygge and Friluftsliv, the idea of connecting with nature, as opposed to conquering it, contribute to the Nordic call for a more diverse interpretation of the winter season. The Faroe Islands are an unlikely winter travel destination, evoking images of craggy shorelines and wind-swept pastures. These 18 islands are sure to surprise with surreal volcanic landscapes, erratic weather, and world-class cuisine. In 2017, the Faroese restaurant, KOKS was awarded the island’s first Michelin Star. KOKS offers an uncompromisingly Faroese palate combining ancient methods with forward-thinking creativity. The Faroe Islands are only a short flight away and can therefore be explored on a short weekend getaway. 4 day’s car rental in a group A car (Nissan Micra or similar) including unlimited mileage, CDW and airport tax. Car upgrades are also available. From £650 per person based on two people sharing a room for three nights, a Tesla X Northern Lights experience. Excludes flights.